I believe the Ranger is heading for its 5 year hull inspection. This would be the first/next step to determine its future, whether to rehab/modernize her or to replace her. 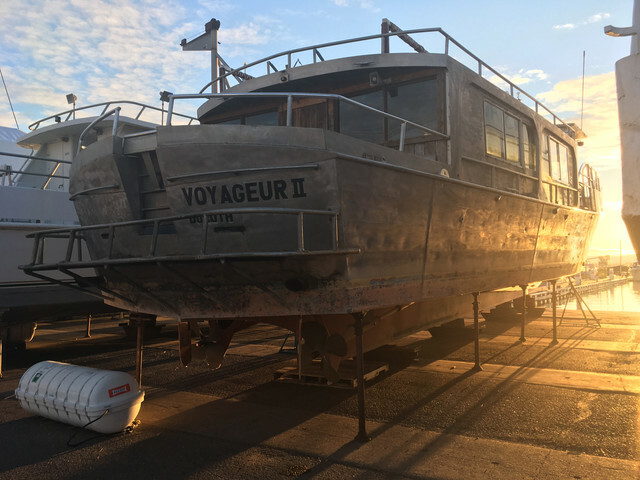 Various studies have already been undertaken to investigate potential replacement vessels, either brand new or something reconfigured from an existing vessel. Thanks for the pic fonix. I had seen on FB she was headed for drydock in Superior and was going to ask if anyone there had spotted her. Ed, I'm hoping they keep her--we're the same age and and I'm pretty sure she's been better cared for, than I've taken care of myself . So if she's no longer fit to go ... . The V2 looks so small in that picture. It's an interesting perspective. It makes me realize that we've rented a houseboat on Dale Hollow that is bigger than her.